TPO roofing is one of the most popular roofing system choices in Texas, and in the U.S. generally — in fact, just last year, TPO roofing systems accounted for nearly half of single-ply roofing sales nationally. 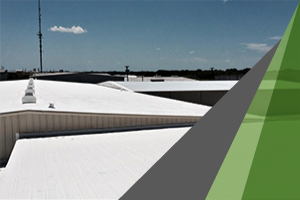 If you lease or own a commercial building, there’s a good chance that you have a TPO roofing system — these systems are especially popular in the southern states (like Texas) because they generally cost less than most roofing systems while still being excellent at reflecting UV light and keeping cooling costs down in the summer. However, TPO roofing systems, like any roofing system, can’t last forever. 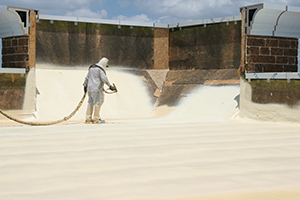 The life of a TPO roof is not firmly established as TPO systems have only been in use since about 1990, but we believe they last around 20 to 25 years. 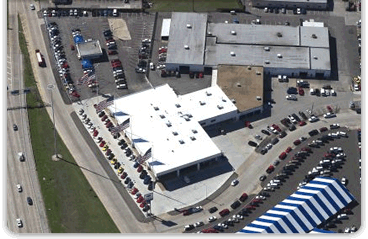 Many of the earliest installs of TPO roofing systems are nearing the end of their lifecycle and will need to be replaced soon, or already need to be replaced right now, a potentially serious problem if you own, lease, or operate a commercial building. Damage to a commercial roof can be bad enough, requiring an out-of-pocket payment when insurance isn’t able to cover all the costs, but outright replacement can be even more expensive. If you’ve looked into replacement, you may already be worried about potential costs — and the removal of your entire roof, though it may be required by your city or municipality, might not be something your business can afford. An entire shutdown of your business, your warehouse, or your data center, especially during peak months, just to remove and replace your roof, is not something anyone wants to have happen, unless there are no other options. Fortunately, for TPO roofing systems (and a variety of other roofing systems), there’s a method of roof repair that can help you avoid a costly teardown and replacement, that can cost less than the average cost of a new roof, and that can improve the reflectivity of your roof, potentially reducing summer cooling costs. One alternative to roof replacement, in many cases, is the application of a silicone roof coating system. Of course, this depends heavily on the state of your roof and any damage your roofing system has accumulated over time, but in many cases, we find that recoating is a viable alternative that can add years to the life of a roof. One of the benefits of recoating a roof is that, depending on the system that is used and the type of roof that the system is being applied to, both leaks and seams can be eliminated. This means that your existing leaks can be repaired while simultaneously filling in the most leak-prone areas of your roof — your seams. Because of the nature of TPO roofing systems and other similar systems, there are often dozens, hundreds, or even thousands of seams in a single roof, seams that are vulnerable to damage during thunderstorms, hailstorms, and other forms of severe weather. By applying a new coating that can eliminate these seams, the resulting roof is not only renewed and given a longer lifespan, but it’s also less likely to spring leaks in the future. 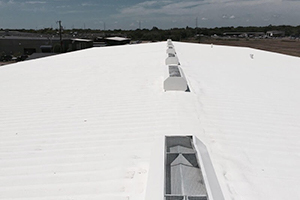 Depending on the manufacturer, many of these coatings can also add manufacturer’s warranties to your roof, adding a further level of protection. Finally, older TPO roofing systems have often lost some of their ability to reflect UV rays, and recoating can renew the ability of your roof to stay cool during the hot summer months. If you want to learn more about how our unique silicone roof coating system can extend the life of your roof, and even add a warranty to your roof of up to 20 years, contact us today. Click here to contact us and get a free estimate on a coating system.